This book will explore the great opportunities and challenges which exist in conducting clinical trials in developing countries. 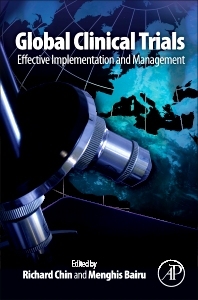 By exploring the various regulations specific to the major players and providing insight into the logistical challenges including language barriers, this book provides a working tool for clinical researchers and administrators to navigate the intricacies of clinical trials in developing countries. Important topics such as ethical issues will be handled very carefully to highlight the significant differences of conducting this work in various jurisdictions. Overall, it will present a clear and comprehensive guide to the ins-and-outs of clinical trials in various countries to assist in design, development, and effectiveness of these trials. 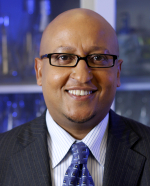 Menghis Bairu, M.D.—physician, editor, author, philanthropist and healthcare business executive—has more than two decades of international experience in the biotechnology, pharmaceutical, global health and non-profit arenas. Dr. Bairu serves as Executive Vice President, Chief Medical Officer and Head of Global Development at Elan. His responsibilities include, but are not limited to clinical development, biometrics, regulatory, CMC, QA, safety-and-risk management, clinical operations and medical affairs. Previously he served as head of Onclave Therapeutics, a wholly Elan-owned oncology biotech company. He lectures extensively on global health and biopharmaceutical issues with particular focus on Emerging Markets (e.g. India, China, Latin America, Singapore, Middle East, South East Asia and Africa). He served as editor and co-author of Global Clinical Trials: Effective Implementation and Management (Elsevier, 2011), a textbook designed to help researchers develop and implement effective and ethical international clinical trials. Dr. Bairu is also editor/co-author of Global Clinical Trials Playbook: Management and Implementation (Elsevier, 2012), and Global Clinical Trials for Alzheimer's Disease: Design, Implementation, and Standardization (Elsevier, 2013). Prior to joining Elan, Dr. Bairu worked at Genentech for more than five years in a number of managed care, medical and commercial (Oncology, Immunology, and Cardiovascular) roles. He served as managed care Medical Director for Fremont Health Corporation/II before joining Genentech. He served on the board of directors for One World Health, a nonprofit drug development company funded by the Bill and Melinda Gates Foundation and A-Cube, a privately held pharma startup. In 2013, Dr. Bairu was named to the boards of directors of Dubai-based NewBridge Pharmaceuticals (he also serves as chairman of NewBridge’s science and technology committee), and ADVentura Capital SL, a Barcelona, Spain-based venture capital firm focused on funding and mentoring promising healthcare, IT and GreenTech companies. In 2011, Dr. Bairu joined the advisory board of the China Trials 5, a global clinical trials development summit focusing on China and north Asia. He currently serves as Adjunct Faculty at the University of California San Francisco School of Medicine where he lectures on global clinical trials’ design, development and conduct.